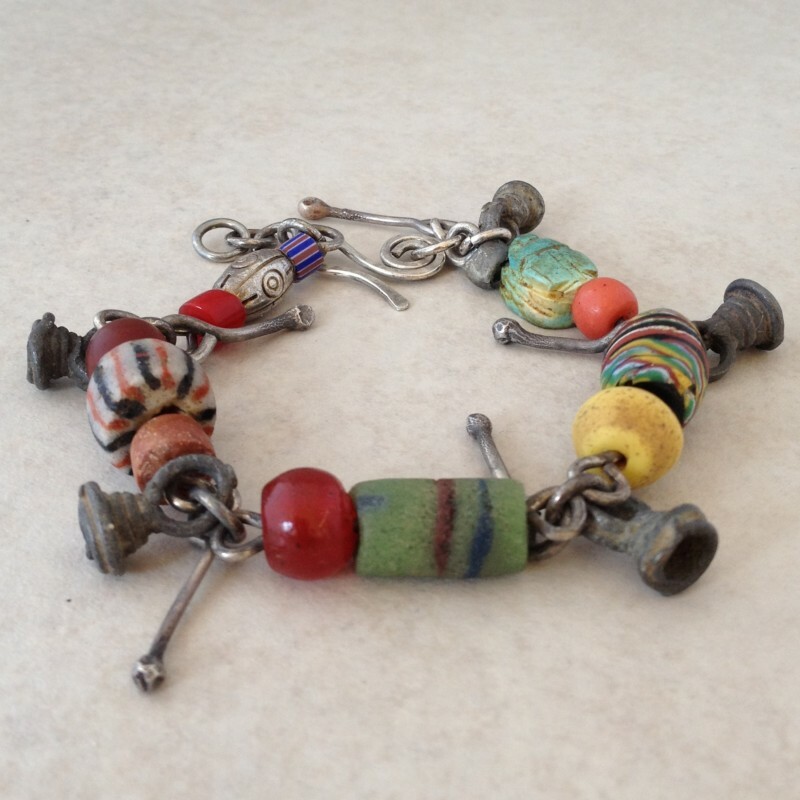 Sterling silver bracelet with very old and unique beads and charms collected by the designer in her travels around the world. 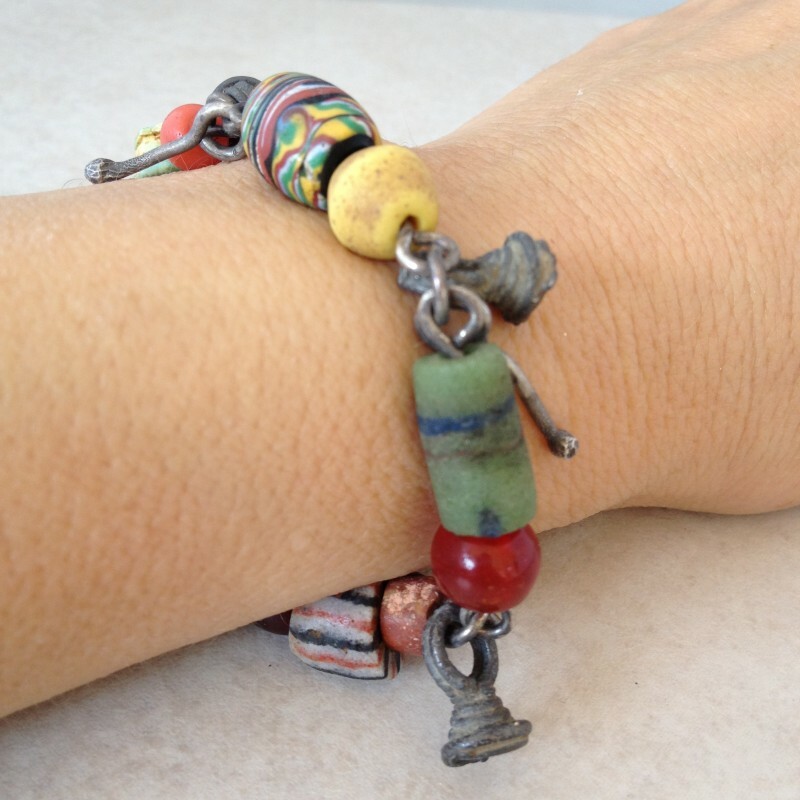 Old beads and charms are carefully chosen. 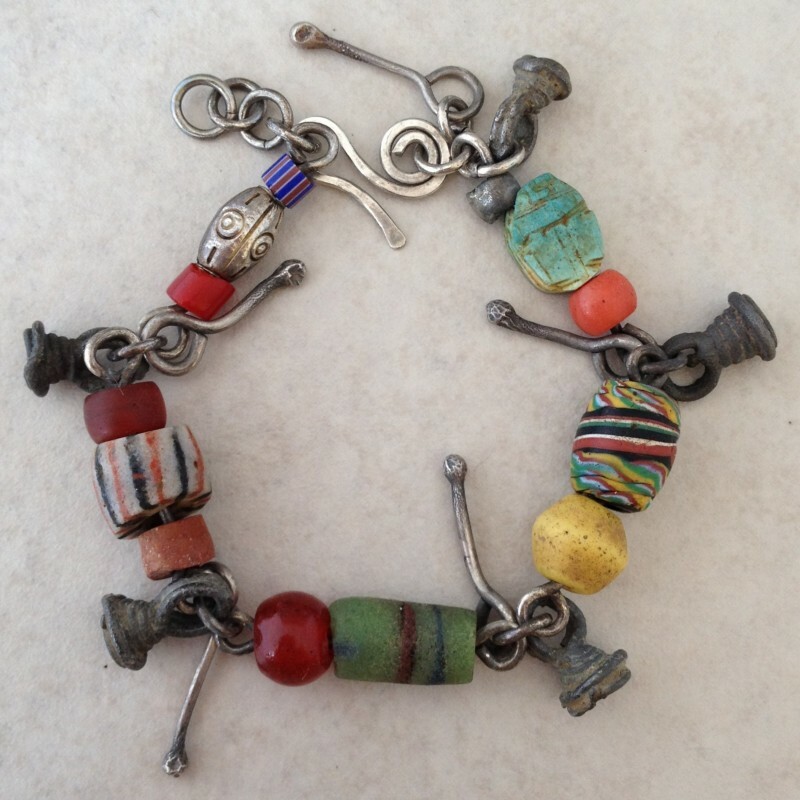 Selection will include rare and very old trade beads such as millefiori, scarab, chevron, sand cast, coral, carnelian, old glass, sterling silver and old brass charms. The bracelet is made of 5 links of sterling silver wire. Clasp is handcrafted of sterling silver. Each bracelet is unique but color pattern and beads will be similar to the one shown. About 7"-8" long.